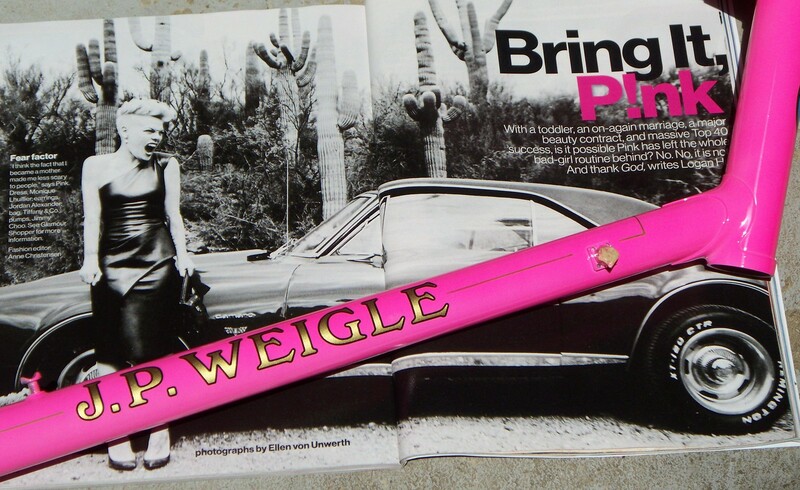 Remember when I was trying to talk Peter Weigle into painting my bike pink? I’ll have a report on a 127-mile ride in Dutchess and Columbia counties coming shortly. This entry was posted in bicycles on July 26, 2013 by John Ferguson.